Hello and welcome back to another party, it is great to have you here! 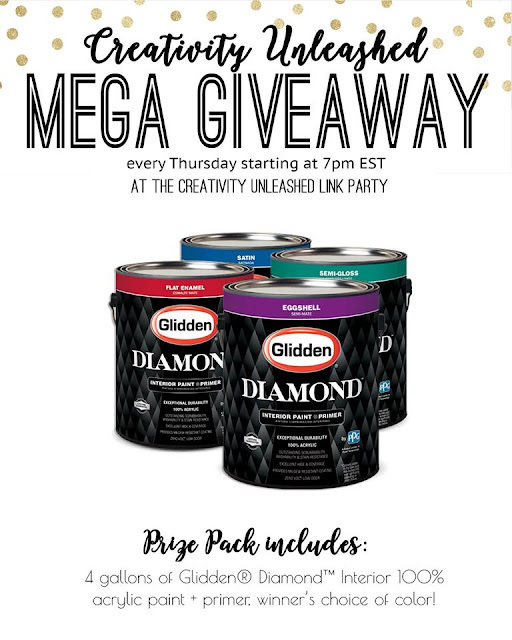 We have an awesome Glidden Paint giveaway this week! You could win 4 gallons of Glidden® Diamond™ Interior paint + primer, plus you can pick the colors! I know my walls could sure use some lovin...Good luck! 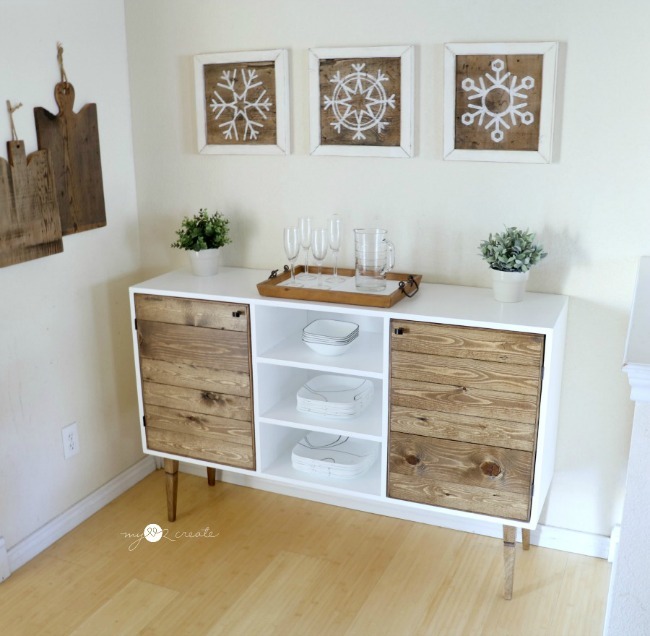 This week I shared my Modern Rustic Buffet, which I am loving!! 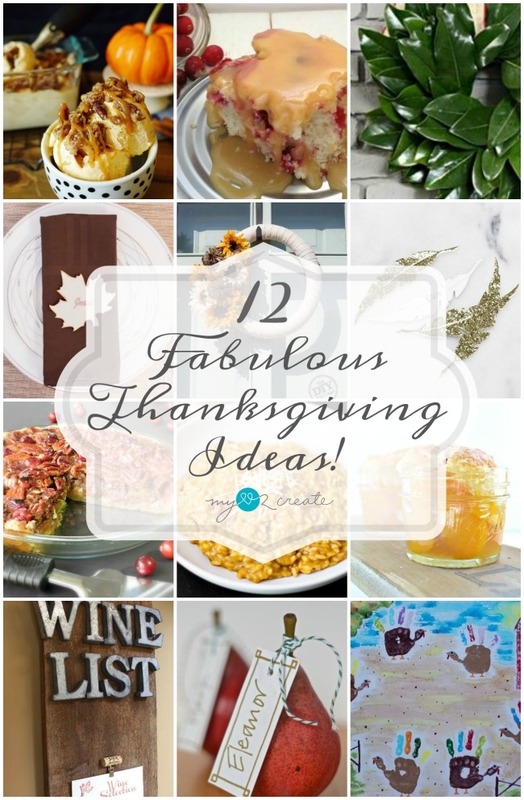 And also 12 Fabulous Thanksgiving ideas! Here are our Rock Stars from last weeks party, be sure and vote for your favorite below! Thankful Grateful Blesssed Wallpaper from Kleinworth & Co. 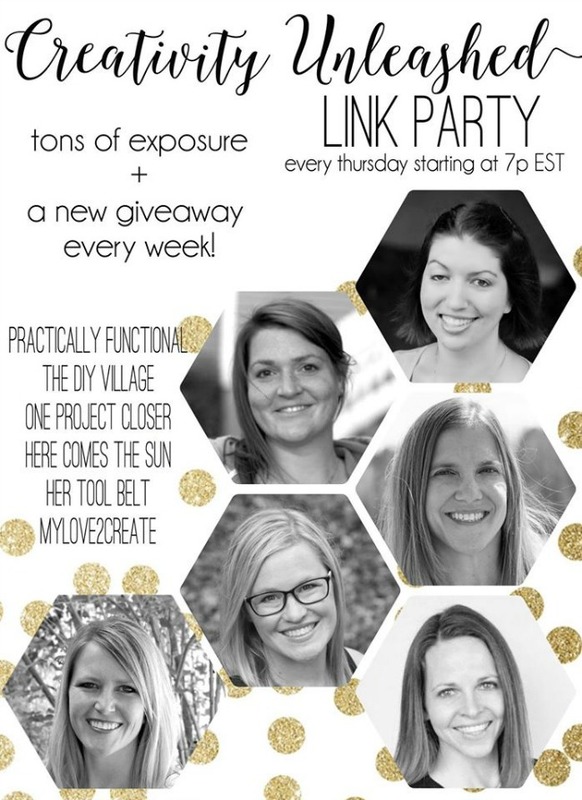 Thank you Mindi and Friends for hosting Creativity Unleashed 145. Appreciated. I love the pumpkin candlsticks!! I like the DIY christmas stand the repurposed kitchen stand comes second. your blog is kinda heavy. Making searching everything in the poll i didnt do. But those two were all right.